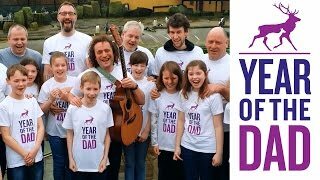 Join us on Wednesday 28th November, from 9:30-11:30 in The Royal Scots Club, Edinburgh for our 'How are you Dad?' initial Advisory Group Meeting. The purpose of this meeting is to explain the project, share the training material, plan the delivery and explore how to measure the impact of this pilot. An increased understanding by practitioners and NHS maternity staff of fathers’ perinatal mental health, and the impact this has on children and families. More dads being asked about their mental health. More mums and dads will be aware of importance of their mental health including postnatal paternal depression & Post-traumatic Stress Disorder in men. More dads accessing support for their poor mental health. NHS staff and key 3rd sector staff will be able to up-skill and support their colleagues so that this training is ongoing and sustainable. Our partner Fathers Reaching Out will be delivering this project with our Understanding Dad Programme Lead Chris Miezitis. There will be representation from Scottish Government Maternal Health, Royal College of Midwifery, Maternal Mental Health Forum, Cross Reach, Health Improvement & Equality Officers, evaluation expert and other interested parties.